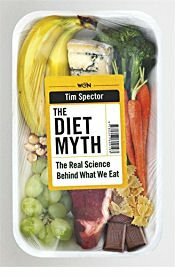 We have been hearing a lot about the importance of our gut bacteria these days, so I was very interested to read The Diet Myth by Tim Spector. I heard about him on CBC last October and tried to get a copy of his book then. It was sold out on both Chapters and Amazon and, when I signed up to reserve it at my local library, I was number 35 on the waiting list. 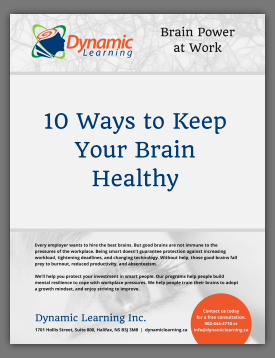 Now I have finally read it and I think there is some key information related to our brains and our general health. from California Institute of Technology’s Microbes Help Produce Serotonin in Gut, backed up by Wikipedia’s information on Seratonin. I certainly know this from ‘lived experience’, as they say. When I was severely depressed a few years ago, I lost 35 pounds in less than nine months. A microbiologist friend of mine says, “Yes, serotonin is produced in our guts.” One of the key effects of antidepressants is to try to increase serotonin production and retention in the brain, but how about considering our brainy guts as a possible source of protection against depression? After 20 years of studying Epigenetics in thousands of identical and fraternal twins, Tim Spector has some fascinating information to share. Epigenetics is the study of the chemical switches which can turn your genes on or off. Spector has discovered that nurture can and does act on our nature (our genes). And where this happens on a daily basis is in our guts through our microbes. He says that microbes have been with us for billions of years, we have co-evolved with them. They outnumber all the cells in our bodies 10 to 1 and they have 100 times more genes. In a healthy gut, we have about 100 trillion microbes and they weigh about 4 pounds! The key message from Tim Spector is there is no such thing as a one-size-fits-all diet. Our guts and our brains are completely individual, so the way we react to foods is very different and flexible. Identical twins at birth have identical genes and DNA in every cell, but as they grow up, their gut bacteria develops differently. Spector’s studies have shown that even when identical twins are followed closely and their food, exercise, and environment is monitored to be a similar as possible, the weight gain between any two twins can vary as much as 4-13kg. Listen to the brain in your gut and experiment with food until you find the ideal balance for you in terms of mood, energy, and a stable weight. The more diverse your diet, the more diverse will be your microbes, and the more diverse will be your immune system. He does not recommend any particular diet, but he does say that calorie counting is distracting and unhelpful. He does recommend you experiment with a wide variety of fruits and vegetables, increase your consumption of fish, lentils and beans, smelly cheeses, and dark chocolate (70% cocoa or more). And have the occasional glass of red wine.